The custom slot niche is quickly becoming the go-to source of tailor-made games for virtual casino platforms and casino businesses that are looking to gain a competitive edge. Most companies within the online casino realm are quickly realizing that offering a unique and fresh iGaming portfolio can potentially attract lots of new players to their casinos. And since custom slots development seems like a rather obscure term to some, we've prepared a list of 3 intriguing facts about this type of slot creation. From special software to cutting edge programming languages, custom games stands for uniqueness above all. And in a sea of somewhat similar online casino titles, it definitely helps to have a product that stands at our disposal. So sit back comfortably and read on to learn about some of the more fascinating facts about this industry! There's no doubt that the entire process starts with an idea, a concept, a plan. But since you're not a developer yourself and you can't possibly materialize your great idea, you need the help of someone who does. And since custom slot providers specialize in helping you with a project from start to finish, you can leave all the hard work to them. In fact, they will most likely guide you by hand as you go through each step of the development process. This is a necessary step if you really want to make sure that the end product is exactly what you had in mind in the first place. Because if you had an idea about a football-orientated slot, for example, you wouldn't anything less in the finished game e.g. a tennis slot. Apart from being strict with your initial concept, you'd also want your online casino game to generate real money and provide profit for you. For that, you'd want your slot to be developed using proper development kits and tools. This way you'll have an end product that runs smoothly and offers quality gaming experience. Thus, during the process of actually creating the game that you want, such tools and software will be at your disposal. By doing so you'll have your final say when it comes to things like user experience, gameplay etc. Still, it's always better to leave things at the hands of experts, because it's better not to play around with certain aspects related to online games i.e. using 60 FPS for your slot. Having 60 frames per second is optimal if you want a stunning and highly responsive slot that runs smoothly. Having your slot developed by a modern and multi-purpose computer technology has nothing but benefits. 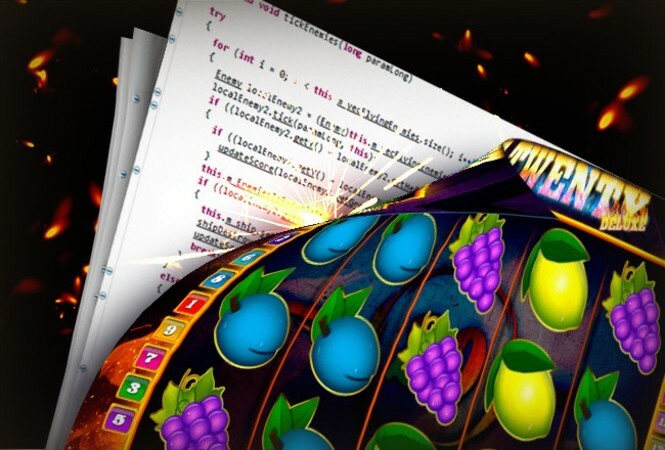 It'll mean that your online casino title is responsive, visually pleasing and above all, compatible across all devices. These are just some of the more interesting and fascinating facts about custom slots development. It's also crystal clear that this is a huge niche that's bound to continue growing, as the demand for online slots keeps increasing. And if you're looking for a cutting-edge, one-of-a-kind and ultra-modern HTML5 framework that relies on super responsive WebGL rendering coped with Canvas fallback, your only option is our premium SpigoBUILDER custom online game development tool!